If you have been trying to find used cars for sale in Oakville, you should consider visiting us Budds’ BMW. We’ve been providing Oakville residents with premium used BMW automobiles for many years, and we have thousands of satisfied clients. We have a great selection of luxury used BMW vehicles in top condition. No matter what kind of model or make you’re looking for, we’re confident that we’ll have a vehicle that will exceed your expectations. Whether it is your first time purchasing a certified pre-owned BMW car at Budds’ BMW, or you’re looking to purchase second vehicle, we’ve made it easy to find used cars for sale in Oakville. Looking to find used cars for sale that are considered to be high performance, luxury vehicles can be daunting for Oakville residents. With an overwhelming amount of information online, it’s hard to determine which vehicle would best suit your needs. It’s also difficult to determine the quality of a vehicle from an image. With that being said, we encourage you to visit our Oakville dealership at your convenience to test drive any of our certified used BMW vehicles. Gaining an experiential understanding of how a vehicle feels and drives is essential before making a commitment. All of our certified pre-owned BMW vehicles have been inspected multiple times over by skilled automotive engineers to ensure that they are in quality condition and will last for years down the road. 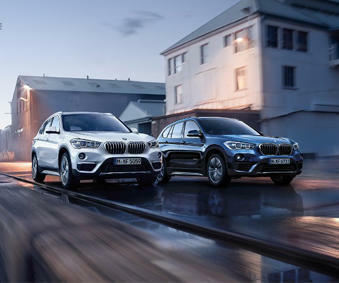 When it comes to meeting your financial needs, Budds’ BMW customers can rest assured, as we have competitive pricing options and affordable finance and lease packages that can be tailored to fit your lifestyle needs. Meet with one of our financial advisors at Budds’ BMW in Oakville to help determine which financial package best meets your needs and budget. At Budds’ BMW we strive to help you drive in style and comfort without having to worry about cutting corners in other areas of your life. We do our best to work within your budget so that you can bring home the car you’ve always been dreaming of. We make it simple to find used cars for sale in Oakville! Visit us at Budds’ BMW and our team of customer representatives will be happy to assist you on your journey to bringing home your dream vehicle.